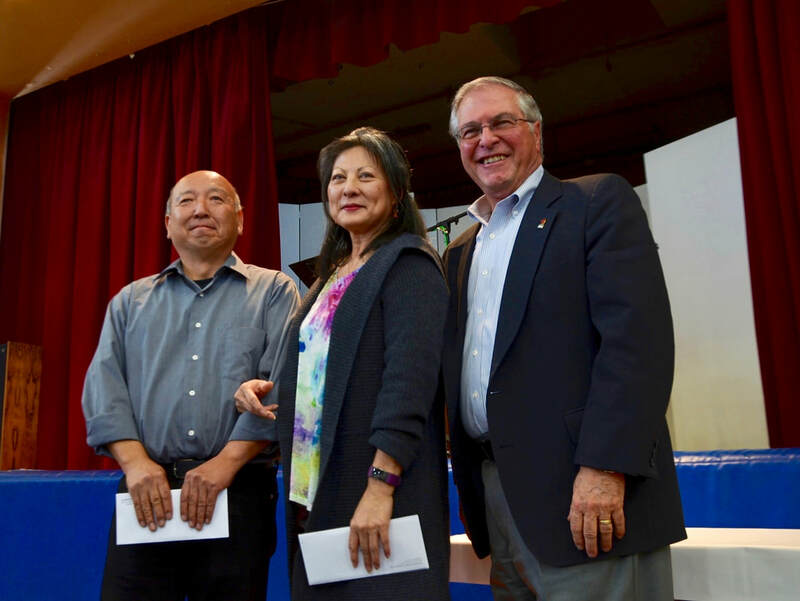 The Pasadena Nikkei Seniors welcome membership from anyone in the community that would like to participate in a variety of scheduled activities. Luncheons are scheduled monthly and day trips are planned throughout the year. Craft classes are held Wednesday mornings at the Pasadena JCI. For more information regarding the Pasadena Nikkei Seniors and their activities, please contact Ron Toshima (626-826-1005). *Dr. Teshima DPM, Podiatrist - comes to the PJCI every 2nd Saturday of the month at 8:30AM (need not be a member). 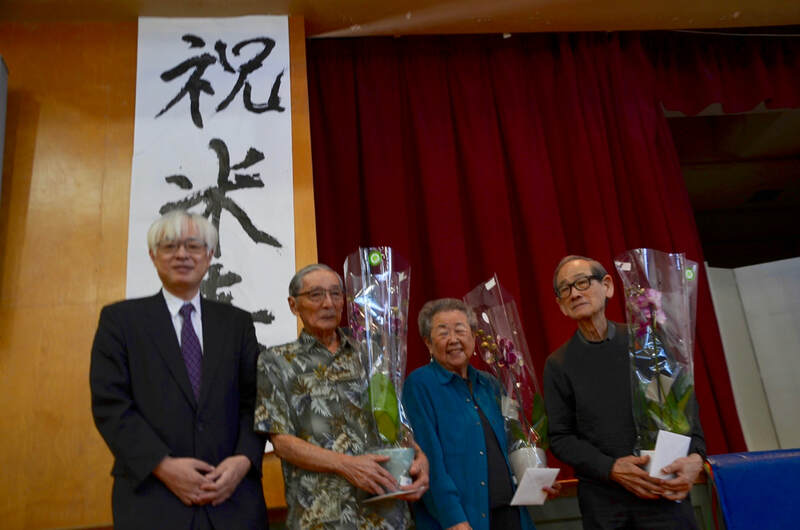 Deputy Consul General Hiroki Matsuo and our 88-year olds: Cliff Nakatani, Alice Kikkawa, and David Kikuchi. 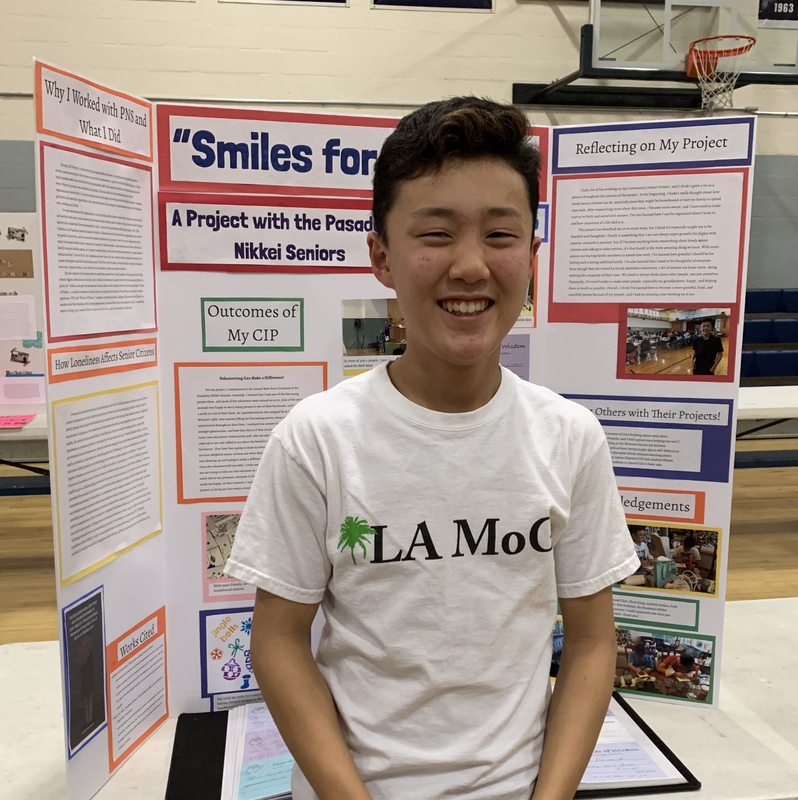 Jake Matsumoto collected "Words of Wisdom" from PNS members at NY party for his project. Click on the title of this article and read the article featuring Itsy and see the photos. PNS Luncheon Reservation: Contact Ron Dyo, Jeannie Toshima, or Ron Toshima. Check out the photos from this recent trip. Thanks to Jo Ann Soo Hoo for planning the trip. There were 26 of us and the the docents we had were both informative. We all had a wonderful time down in San Juan Capistrano. Visit the photo page. The (almost) monthly luncheons are a wonderful way to visit with friends and make new friends. Lunch is served at noon and is usually followed by a BINGO. Lunch donation is $1/person and BINGO is an optional $1 per person. If you need a ride, just ask. Join our friendly group of seniors on a bus trip to a local casino. ​Contact Wade Utsunomiya for more information. Provide your contact information and we will get back to you regarding membership.